On February 25, 2019, Cultural Anthropology, the peer-reviewed journal of the Society for Cultural Anthropology (SCA), was relaunched on OJS 3. Yet this relaunch was not the beginning of the SCA’s relationship to OJS and its creator, the Public Knowledge Project. In some ways, it marked the culmination of a relationship that extends back over a decade, whose evolution underscores the growing importance of community-developed infrastructure for scholarly communication. When the journal’s editorial office moved to Duke University in 2011, the Duke University Libraries stepped in as its OJS host. Meanwhile, the SCA built a bespoke content management system for presenting short-form web content and supplemental material related to the journal in a visually compelling way. 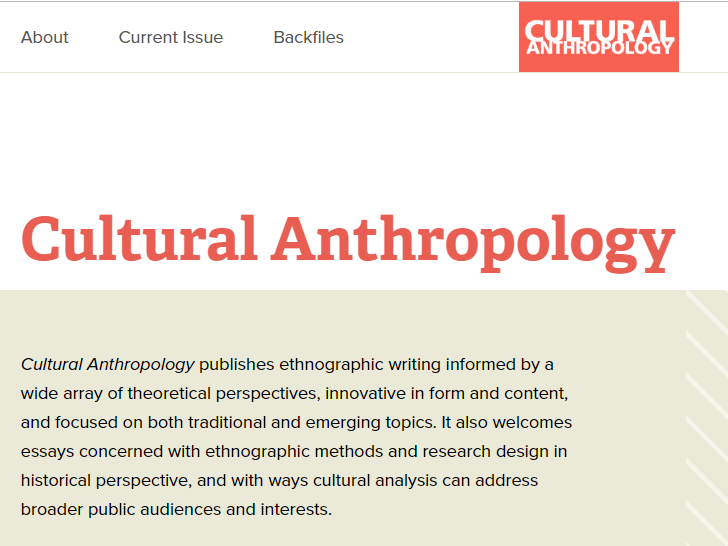 When Cultural Anthropology went open access in 2014, the SCA retrofitted this website as a journal publishing platform. OJS continued to operate behind the scenes, linked to the reader-facing site only by a home-built plugin. By 2017, the SCA faced a decision point: should it continue to invest in developing and maintaining a custom platform, or could its needs be met by existing tools with a robust developer community behind them? A conversation between the Public Knowledge Project (PKP)’s James MacGregor and Cultural Anthropology managing editor Marcel LaFlamme planted the seed of using OJS 3 not only to manage submissions and reviews, but also to publish and disseminate journal content. Several factors went into the SCA’s decision to adopt OJS in this way. OJS 3’s support for custom theming meant that the journal site could mirror the clean, contemporary design of the parallel content management system that would host the SCA’s web content. Its integration with scholarly infrastructures like Crossref and Google Scholar would mean better discoverability and less back-end labor for the journal’s editorial team. Moreover, handing off hosting responsibilities to PKP Publishing Services was a welcome development for the library staff at Duke. One feature of the journal, which dates back to 2009, was not supported out of the box by OJS 3. 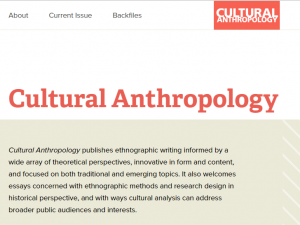 Cultural Anthropology publishes what it calls Curated Collections of previously published articles, which are assembled by an editor and accompanied by original content that highlights connections between articles from the journal’s backfiles. Funding from the Dean’s Office and from Swem Library at the College of William and Mary, where current member of the editorial collaborative Brad Weiss teaches, supported custom development of a Categories feature for OJS 3.1.2. The new Categories feature has allowed Cultural Anthropology to present its existing Curated Collections through its OJS instance and to solicit new collections going forward. Better yet, the Categories feature is now available to all journals using OJS 3.1.2: an illustration of how one institution’s investment in a locally relevant project can contribute to a common-pool resource at a global scale. In their introduction to the first issue of Cultural Anthropology published on OJS 3, editors Brad Weiss, Heather Paxson, and Christopher Nelson wrote that “the pendulum of the Society’s publishing program is swinging away from bespoke systems and processes toward new forms of interdependency.” As it enters its second decade, the relationship between the SCA and PKP offers a hopeful model for an ecology of scholarly communication defined by cooperation, experimentation, and a values-driven commitment to open. Marcel LaFlamme is a visiting scholar in the Department of Anthropology at the University of Washington and the managing editor of Cultural Anthropology. In June, he will take up a postdoc at the LBG Open Innovation in Science Center in Vienna.